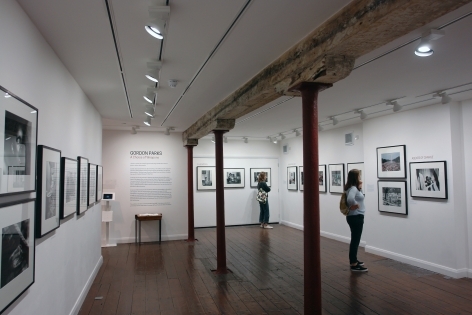 As its contribution to Tyneside's Freedom City 2017 Side Gallery presents a focused exploration of key works by the great African American photographer Gordon Parks. 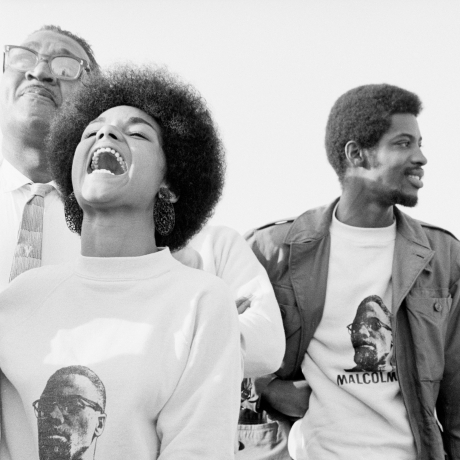 The works selected for this exhibition highlight the struggle African Americans endured whilst fighting for equality in America, a struggle that concerned Parks throughout his long and astonishing photographic career. 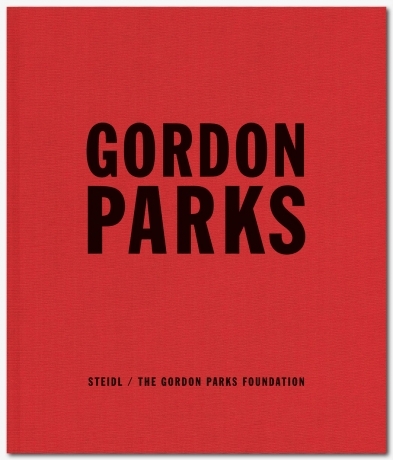 Gordon Parks: A Choice of Weapons has been developed as a partnership between Side Gallery, Autograph ABP and The Gordon Parks Foundation. 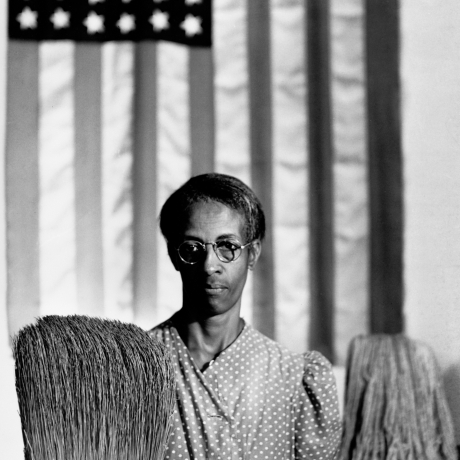 Gordon Parks' photographic career began in earnest in the early 1940s with the legendary Farm Security Administration photography unit. In the struggle for social justice his camera became what he referred to as his weapon of choice against racism and social inequalities. 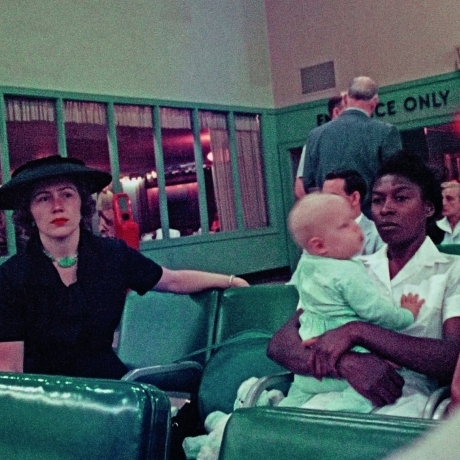 In 1956, as the only African American photographer on the staff of the hugely influential Life magazine, he documented the impact of racial segregation in the American South. In the 1960’s he explored the turbulence of the different political strategies of those involved in the struggle for social freedom: from Dr. Martin Luther King Jr.'s participation in the March on Washington to the self-declared revolutionary approach of the Black Panthers. Parks' focus on the question of social change was unequivocal. 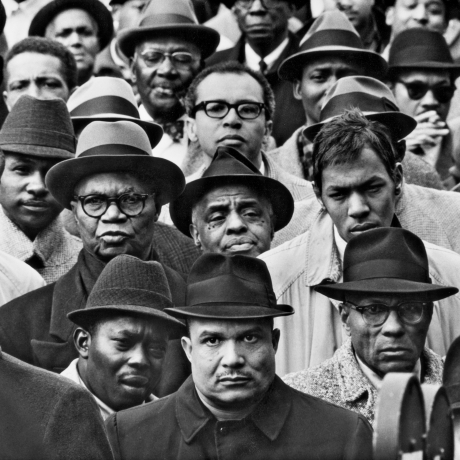 Gordon Parks: A Choice of Weapons shares its title with Parks' 1966 autobiography and this exhibition aims to draw out critical questions concerning civil responsibility, human rights and modes of representation. 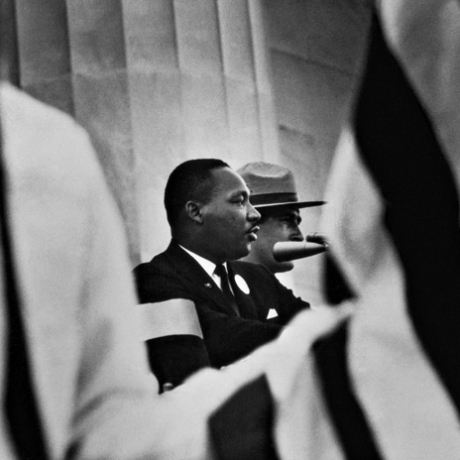 Critically this exhibition highlights how Parks' photography informed the sense of responsibility he felt and the way he used his position to provide both agency and voice for his people. His immersive photographic narratives opened up dialogue across the difficult cultural, social and political divides that existed in America. 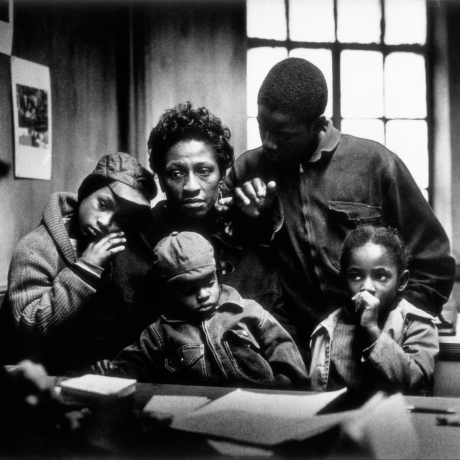 In late 1967 and as a direct response to the wave of riots that broke out across America Parks began documenting the Fontenelles, an African American family, living in Harlem and trapped in extreme conditions of poverty. This extended documentary project became a remarkable 16 page photo feature for Life magazine in March 1968. It was a ground breaking essay which provides a keystone through which to read Park’s photography throughout this exhibition. An outstanding body of work, it illustrates the way he saw and portrayed the family - and others: not as objects of journalistic scrutiny but as unique individuals participating in the telling of their own story. The heartache, emotional and moral dilemmas that he faced in trying to tell story of the Fontenelle family would never leave him. He stayed in contact with the family and would later recall that, "the truth of their suffering lay ahead, and it would be terrifying and sorrowful." 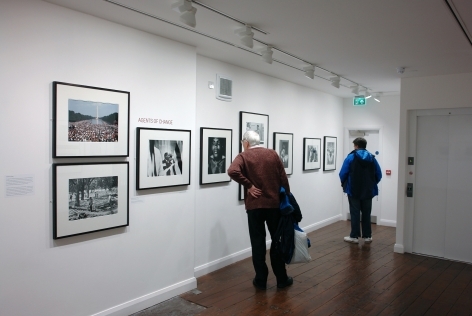 Parks was a remarkable figure - a photographer, a filmmaker, writer and composer. With The Learning Tree in 1969, he became the first black director of a Hollywood film. In 1971 he directed Shaft. 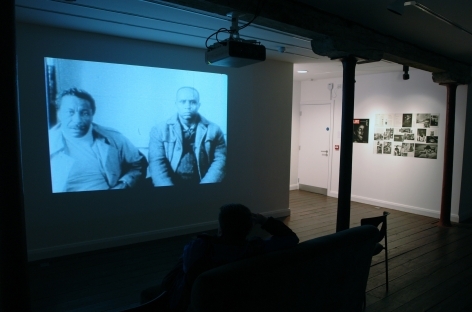 Curator Mark Sealy developed a Gordon Parks retrospective at London's Photographers' Gallery and the British Film Institute in 1993, which Parks himself attended. Sealy was not aware, at the time, of the 20 minute documentary Diary of a Harlem Family Parks made in 1968 for the USA's Public Broadcasting Service. 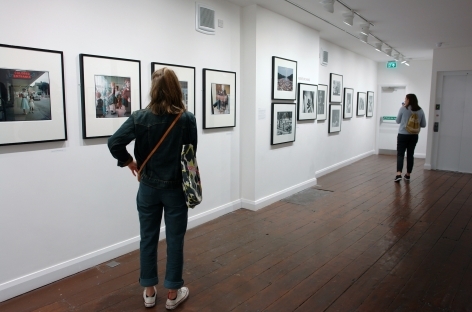 This photo-film will be presented on a loop throughout the Side Gallery exhibition. "We don't think the film or the photographs of A Harlem Family have been shown in the UK before as a series," says Sealy. "It forms the heart of this exhibition. At the height of Parks' success he was asked by the editors of Life if he could explain the riots that were taking place across the country. The fact that he chose to do this through a focus on a single family is extraordinary in itself. He showed them struggling to cope with the relentless pressure of survival, documenting the minute details of their deprivation, the way the cold of the New York winter reduced their lives - the experiences he saw as fuelling the explosions of discontent in the cities that overwhelmingly took place in the summer. Parks never forgot his own experiences of poverty and cold. Working in the context of Life, he chose to use the position he achieved to represent his community in the struggle for social change." Mark Sealy will talk at the opening of the exhibition at Side Gallery at 2pm on Saturday 21st October. The event is free. On Sunday 22nd October, together with Amber/Side Gallery and others, will take part in a symposium in Side Cinema, Speaking to the Future, discussing the role documentary archives and the contemporary creative directions they offer.